We received a lovely note from the family of Ilva Franchini and they gave us permission to share it with you. 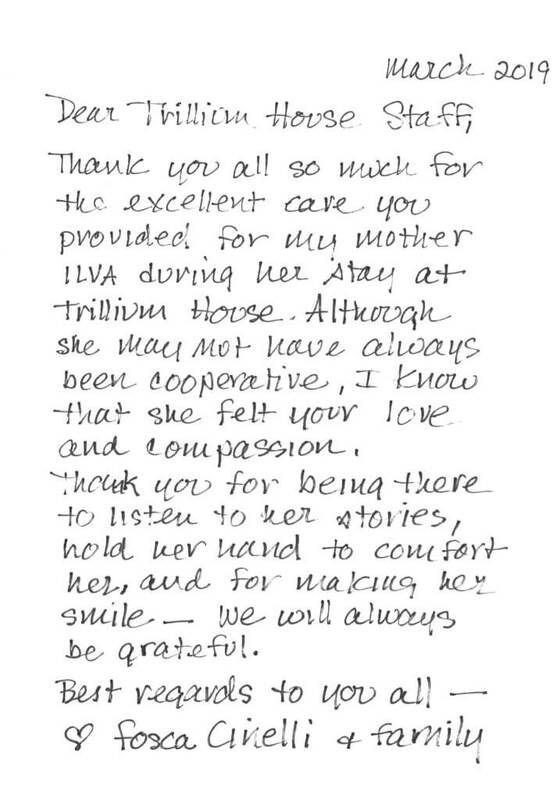 Ilva was a lovely lady and we enjoyed meeting her and her great family while she was a Resident at Trillium House. 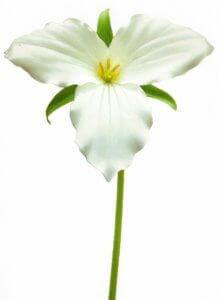 Thank you Fosca for the very kind words and sending them in an awesome Trillium card. We truly appreciate hearing from families. Their messages warm our hearts and remind us of our mission and pledge to serve families throughout the area. 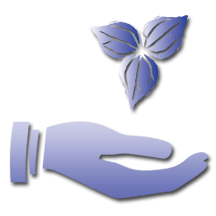 If you have questions about Trillium House and how we can help you or your family, please reach out to us by calling us at (906) 264-5026, email us at info@trilliumhospicehouse.org or stop in for a visit.